Approximately 150 college and vocational students from 18 schools around the country participated in the Tree Care Industry Association Foundation (TCIAF) annual Student Skills Competition, at the TCI EXPO held at the David L. Lawrence Convention Center in Pittsburgh, Pa . The Student Skills Competition, which drew 57 students from 16 schools, is part of the TCIAF Student Career Days, a career development event for arboriculture, urban forestry and horticulture students. Students competed in events like the work climb, belayed scramble, and throwline competition events, as well as academic events, including safety gear check, and knowledge exam. 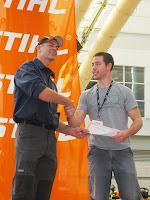 Mark Chisholm, International Society of Arboriculture (ISA) certified arborist, three time ISA international tree climbing champion and STIHL spokesperson, was on site to demonstrate climbing competition tips. 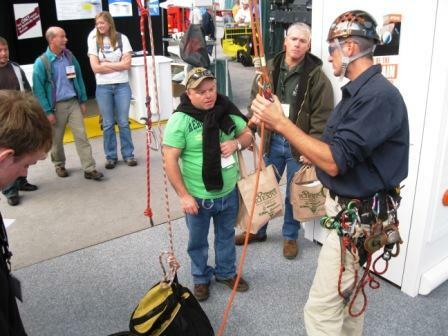 “By having Mark Chisholm demonstrate at the competition, students learn real world experience from a well-respected professional, which is key for future career development,” said Tchukki Andersen, TCIA staff arborist and ISA Board Certified Master Arborist. 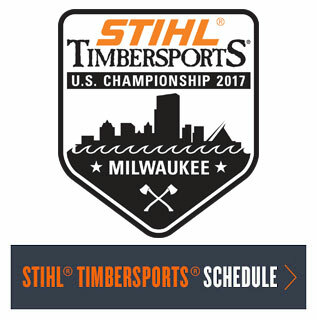 "STIHL, along with our other sponsors, provides the necessary experiences to teach valuable skills to these future arborists." For more information visit the STIHL Press Office or the CNN iReport. Master Arborist Mark Chisholm at Work.